The appearance of wrinkles in your face, neck, décolletage, but also in your hands is a natural process that comes with aging skin. You can follow all health rules, but sooner or later your skin will start to loosen and wrinkles will appear. A wrinkle treatment seems inevitable for both men and women. After all, you want to age gracefully and deepening wrinkles usually aren’t desirable in this day and age. Which (anti) wrinkle treatment is effective and fits you the best? Treatment with or without fillers and Botox? A suitable wrinkle treatment depends first of all on your wishes. You may be considering treatment with injectables, such as Fillers or Botox, or without the use of a needle. Naturally, we also look at the type of wrinkle, dynamic or static and the location of the wrinkles. In some cases, multiple treatments are combined for a natural result. 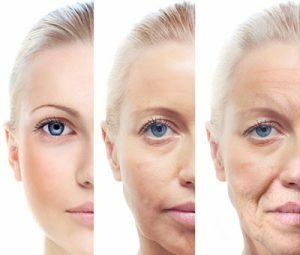 Wrinkle treatment The Hague or Oegstgeest? A wrinkle treatment without injectables is done completely without using a needle. Your skin is renewed with a beauty treatment or massage. It’s ideal for fine lines.